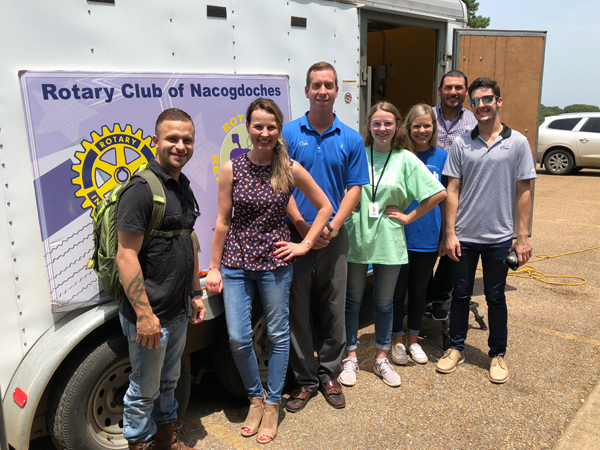 The Nacogdoches Rotary and Nacogdoches Boys & Girls Club for the opportunity to serve our local youth, supporting the Nacogdoches Rotary’s Literacy campaign. 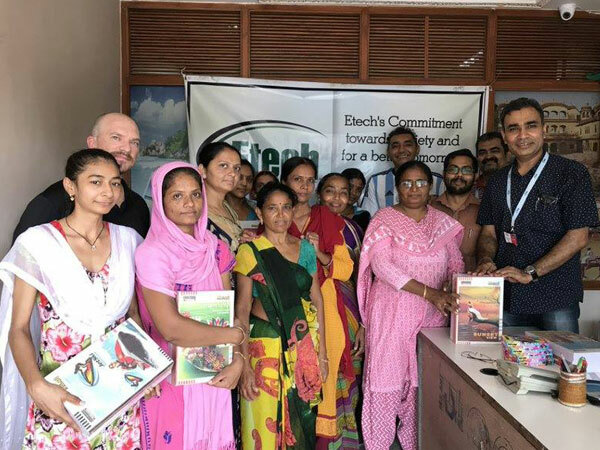 Etech thanks the team for braving the heat to invest in our futures and for making a remarkable difference! 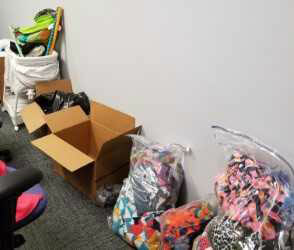 The Rusk Center collected items to donate to the wonderful organization, Cherokee County Women’s Crisis Center, who were in serious need of donations. 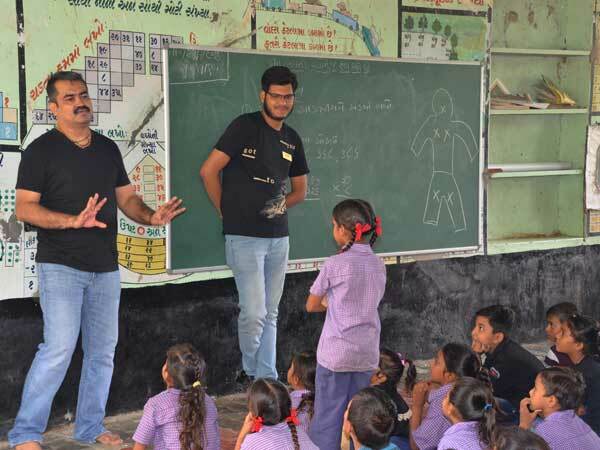 Etech Gandhinagar Community Action Team hosted the GIVE BACK for Monsoon Fiesta & Anti- Child Abuse Awareness Training at the Rampura Village. 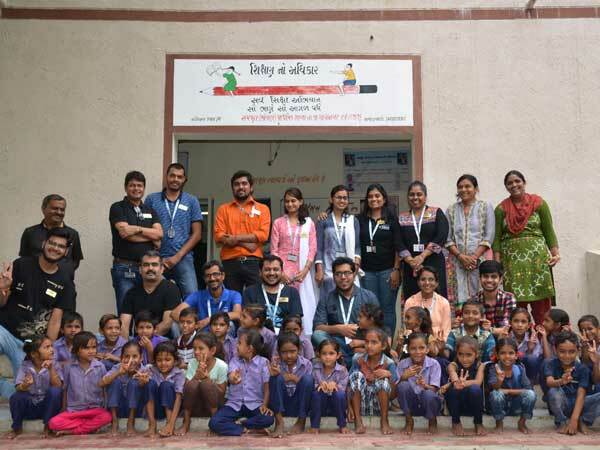 Etech teams aided them in understanding some of the key aspects of protecting oneself from child abuse. 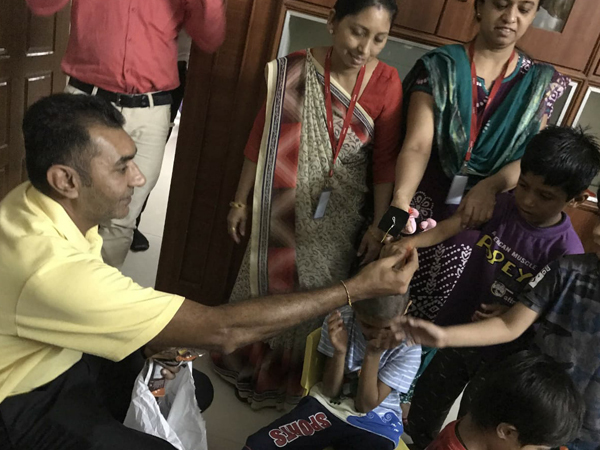 The team had a great time spending the day with them and providing snacks like boiled corn and dalwada. 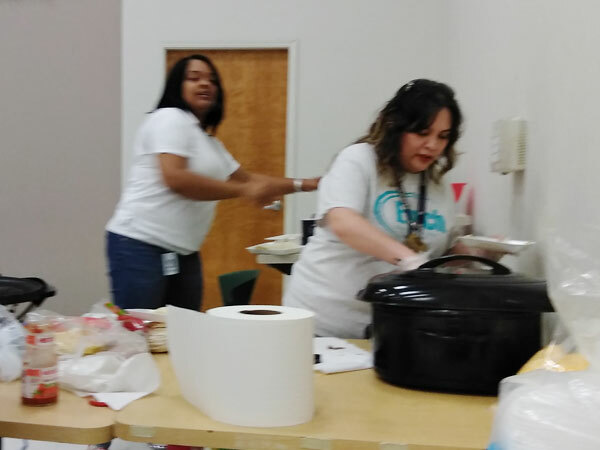 Etech Lufkin Center had another fundraiser for its Community Action Committee by selling tacos. 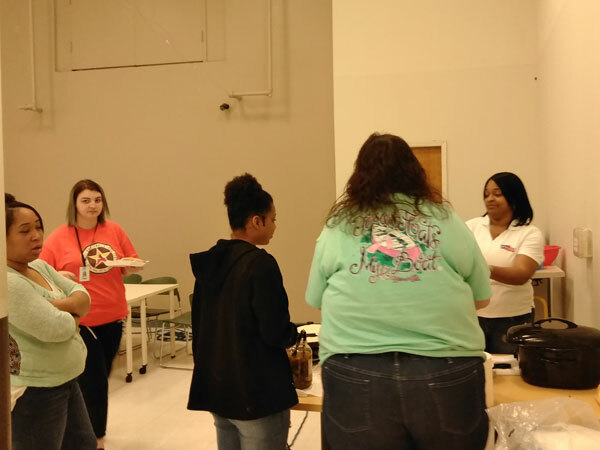 The event was the most successful fundraiser for the Lufkin center, raising over $250.00 to go towards Relay for Life funds. 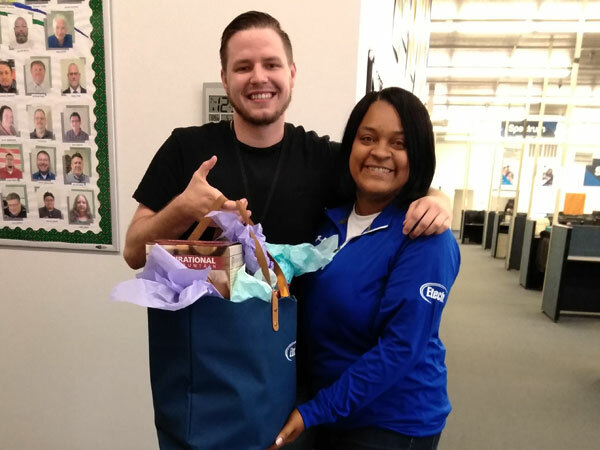 The Lufkin Work Life Balance team hosted a Mother’s Day basket raffle for employees filled with candles, sweets, and gift cards. All of the proceeds went to Lufkin’s Community Action. 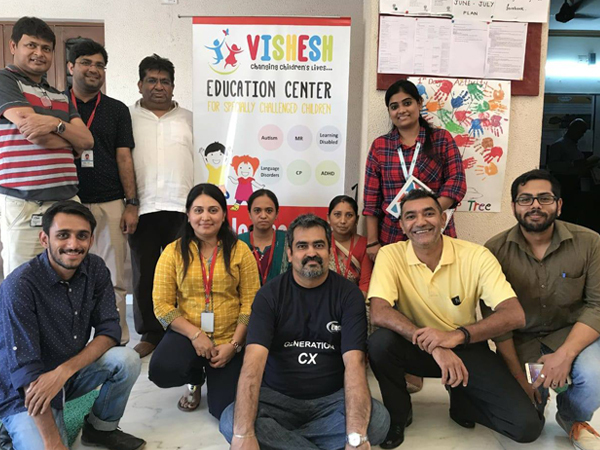 Etech Gandhinagar Community Action Team visited Vishesh, an Education Center for specially challenged children turned out to be a magical experience. They distributed toys, color books, crayons, cakes and flavored milk for the special kids. 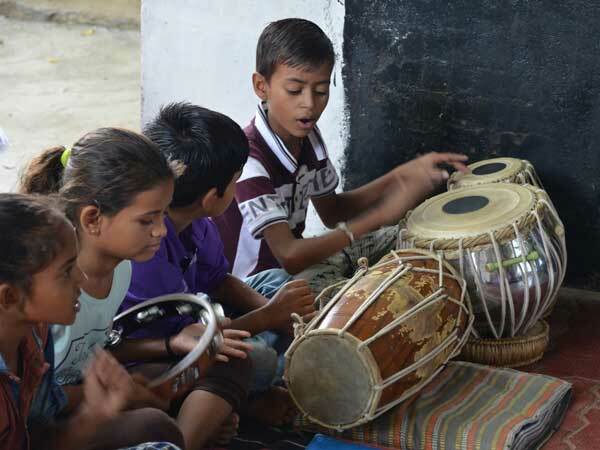 These kids are so special as they teach you to be patient, to be a warrior and to be just ‘You’. 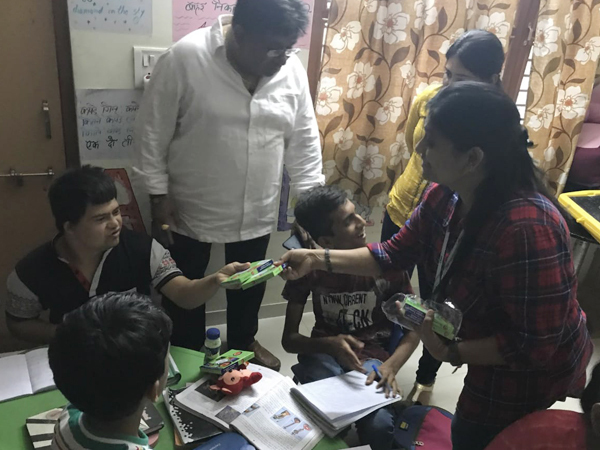 Etech Gandhinagar’s Community Action Team (CAT) conducted the Notebookonation Drive. The team wholeheartedly, participated in this drive and donated 7,500 INR; CAT added another 5,000 INR. 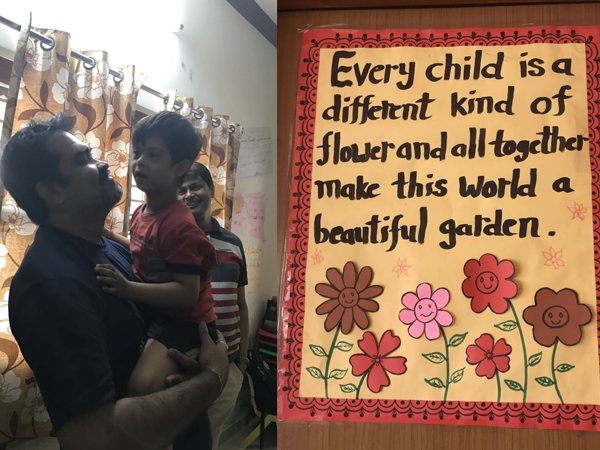 With this money, the team bought 480 Full Scape Notebooks, 100 Small Notebooks, and 80 Pens to be donated to the children of the women associated with the Mansi Mahila Mandal (an organization providing employment to women from economically weaker background). 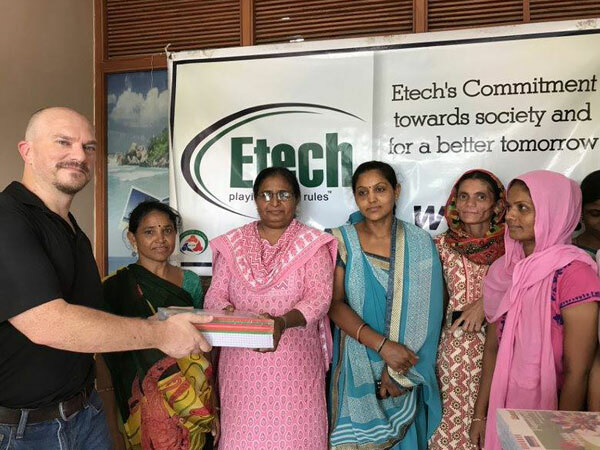 This opportunity gave Etech Family to come forward and support the needy children and women with their educational requirements. 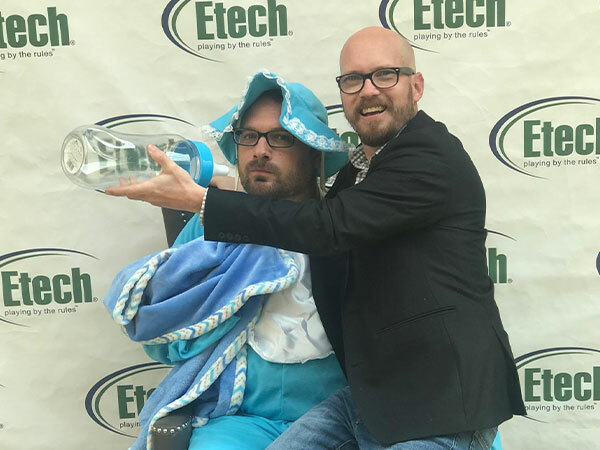 Etech’s Nacogdoches Center held a Cry Baby Fundraiser as part of the giveaway program. 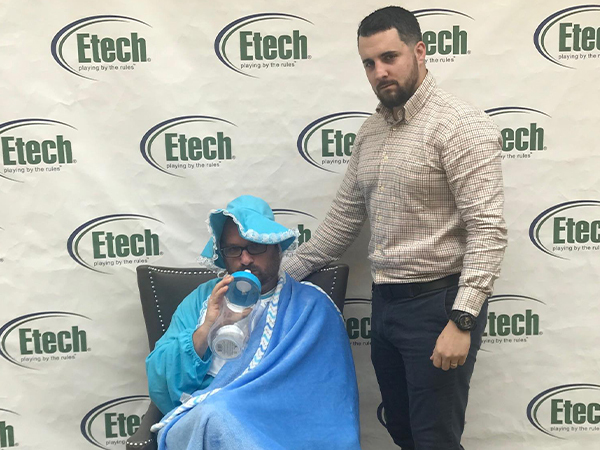 The team members with the most money in their jar wore a Cry Baby costume for a FULL day. 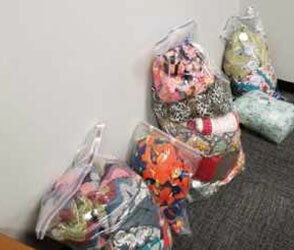 The Community Action team was able to gather over $500. 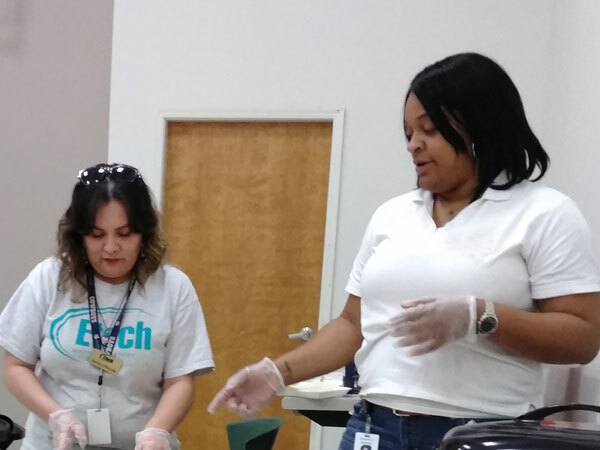 The Relay for Life gave our employees an opportunity to celebrate those who have battled cancer, remember loved ones lost, and fight back against the disease. 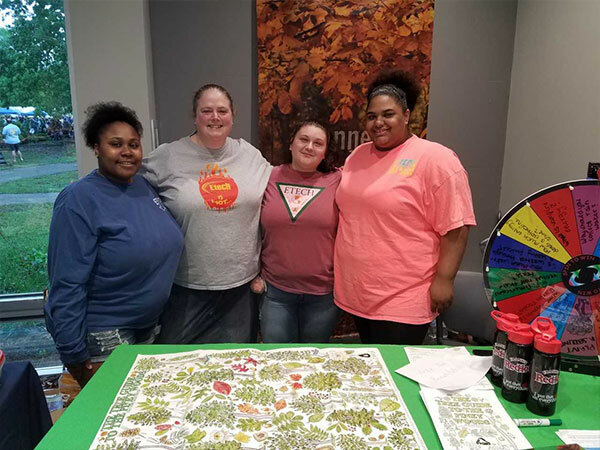 Etech Nacogdoches had the pleasure of working with Keep Nacogdoches Beautiful at the SFA native plant sale. 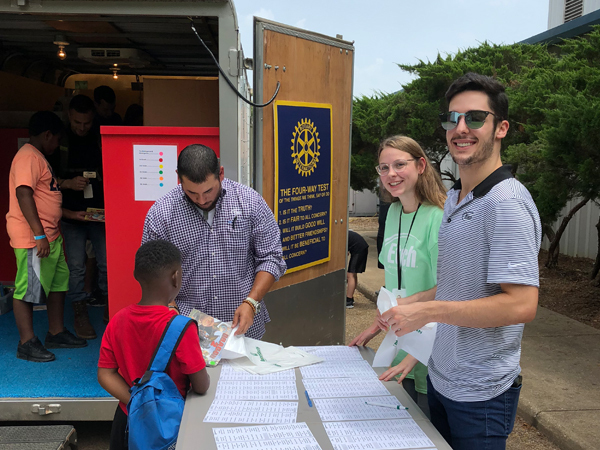 The team was in charge of the education booth, where the team members managed the wheel of ECO friendly questions. 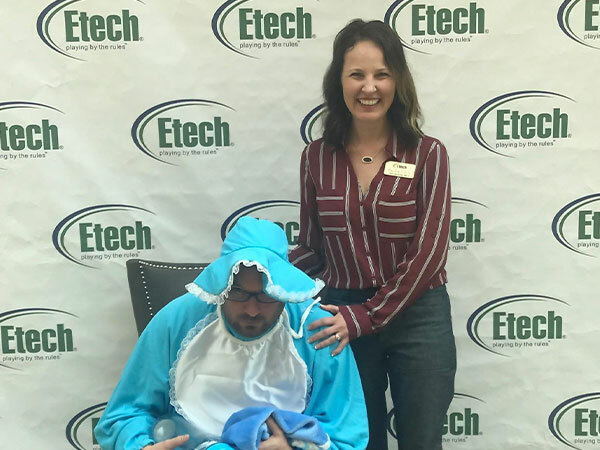 Keep Nacogdoches Beautiful is such a staple to the city of Nacogdoches and Etech was grateful to be able to support their cause. 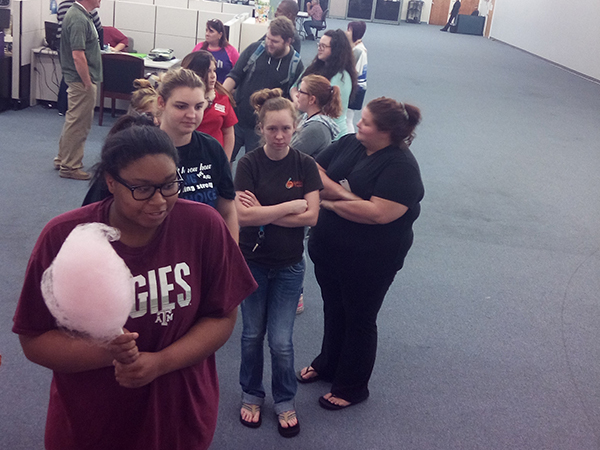 Etech’s Rusk Community Action Team decided to treat the whole center with cotton candy. 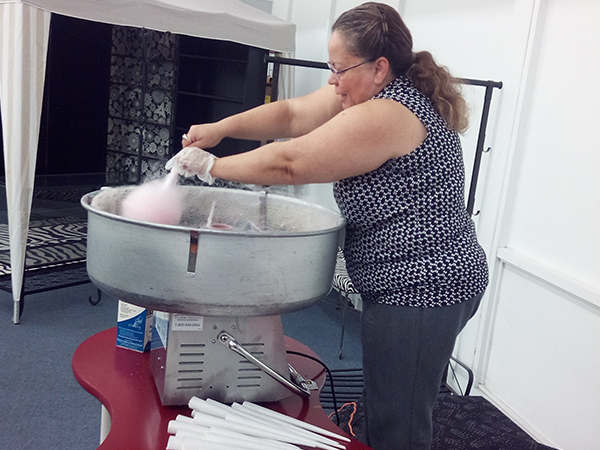 Etech’s employees showed off their master cotton candy skills and swirled candy for close to two hundred agents and leaders. 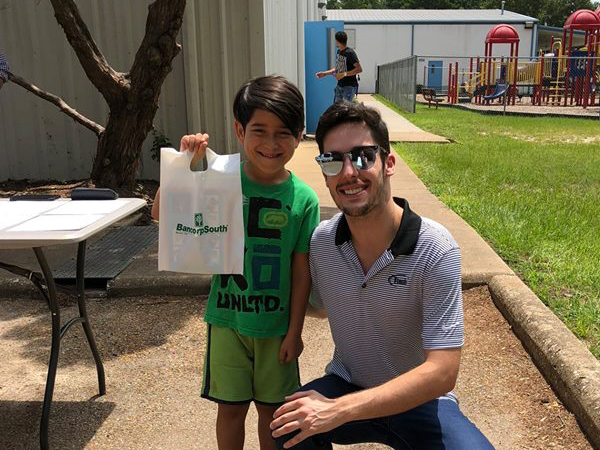 It was great to give back to our hardworking team members in such a sweet way.